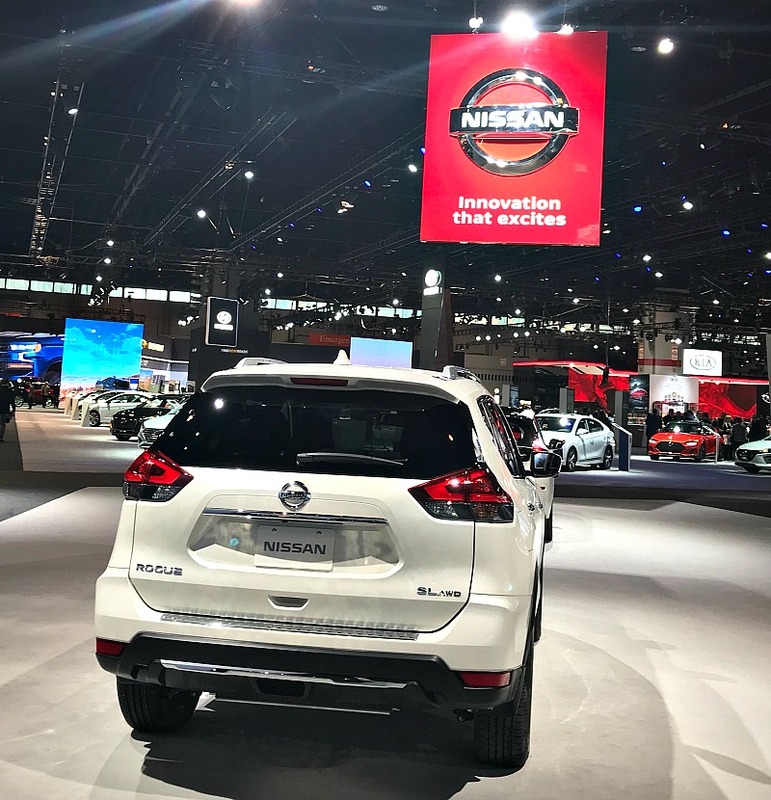 Nissan really captured my attention not only for being the Media Sponsor of the Chicago Auto Show 2018, but because the brand offered a solid, strong and innovative presence, which has been the foundation for great things yet to come! First we headed to the “Garage” to check out the new launches and other amazing cars they had on display! The Kicks was one of my favorites! Compact, stylish and yet offering all the features and innovation you love about the other Nissan vehicles! 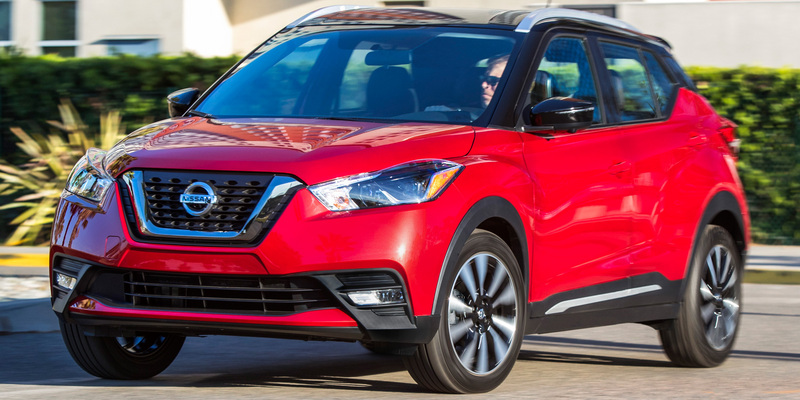 The 2019 Nissan Kicks is an all-new, five-seat compact crossover. The Kicks is sold in 80 countries and features several high-tech safety features standard, Brazil is one of these countries! Only one drive-train will be available: A 1.6-liter four-cylinder engine that makes 125 horsepower and pairs to a continuously-variable automatic transmission (CVT). The Kicks will be offered in front-wheel drive only. The Kicks will be offered in three trims: Kicks S, Kicks SV and Kicks SR. Available features include Apple CarPlay, Android Auto, satellite radio, navigation, Bluetooth, leather seats, heated seats, power moonroof, cruise control, etc. Available safety features include automatic braking, blind-spot monitoring, forward collision warning, 360-degree camera, rear-view camera, stability control, traction control, and dual-front, front-side and side-curtain airbags. You already know how much I love the 2018 Nissan LEAF, right? 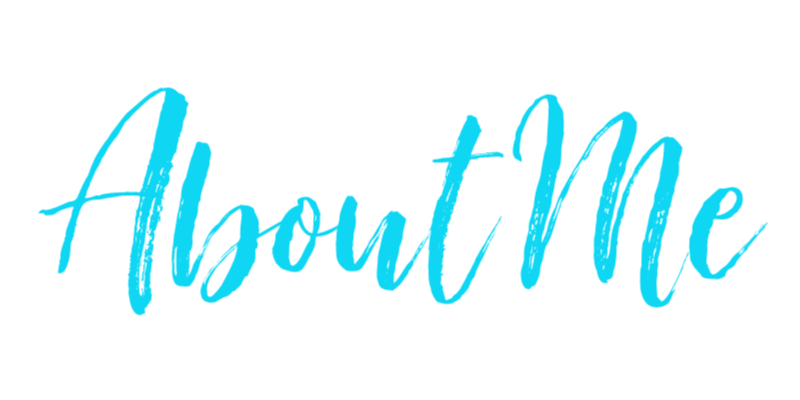 E-PEDAL is a feature I can’t stop talking about….. This time we had another chance to check it all out and I shared my favorite features with some friends attending the show with me! 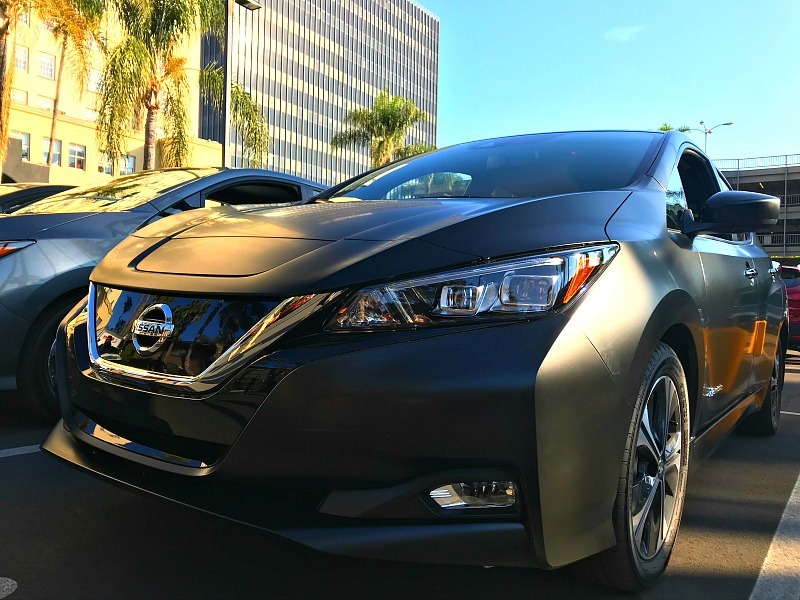 2018 Nissan Leaf: Positioned as an electric-car with an affordable price tag. The Leaf is completely redesigned inside and out. A 100-kilowatt electric motor is paired with a 40-kilowatt Li-ion battery producing 147 horsepower and has an EPA-estimated maximum range of 150 miles – which is 43 miles longer than the outgoing model. There are three available trims: S, SV, and SL. The Leaf offers available features such as ProPILOT Assist, Apple CarPlay, Android Auto, heated front seats, heated rear seats, premium audio, auxiliary jack, USB port, satellite radio, Bluetooth, and navigation and telematics system. Available safety features: rear-view camera, 360-degree camera, anti-lock brakes, stability control, traction control, and dual-front, front-side and side-curtain airbags. 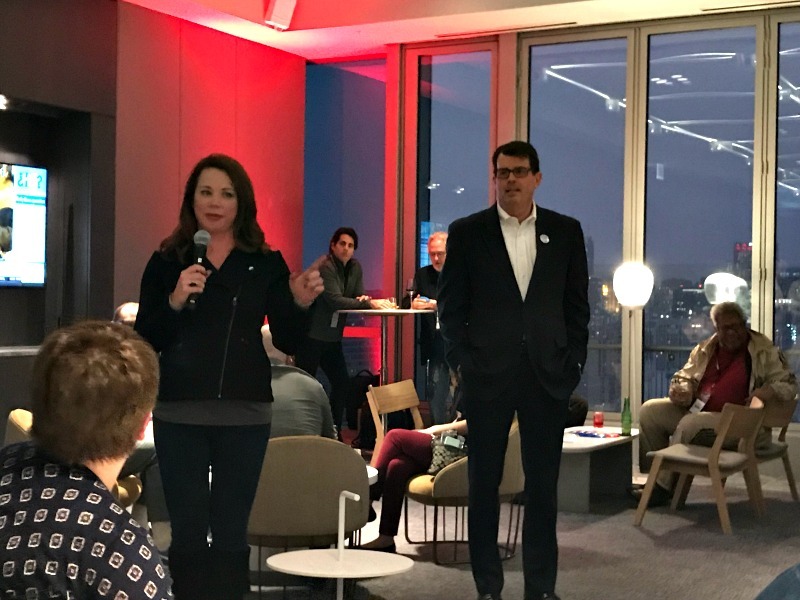 The night was young and we headed to the welcome reception, where Nissan offered a warm welcome to the media attending the Auto Show! Paired with great company and a gorgeous view! Next day, I had the opportunity to check Nissan’s line up and enjoy their winter wonderland display! 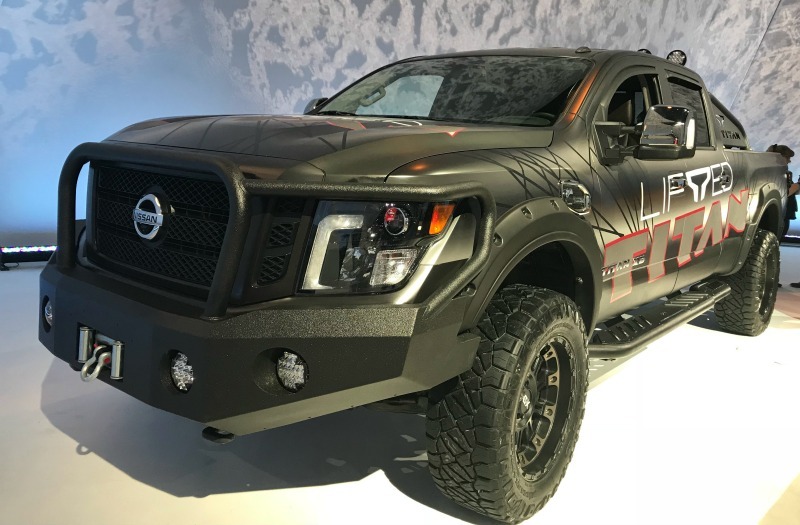 2018 Nissan Titan: The 2018 Nissan Titan is the company’s entry in the fiercely competitive full-size pickup truck class. It competes with the Chevrolet Silverado, Ford F-150, and Toyota Tundra. For 2018, the Titan remains unchanged, with the exception of a new Midnight Edition trim. Under the hood is a 5.6-liter V8 that makes 390 horsepower and pairs with a seven-speed automatic transmission. 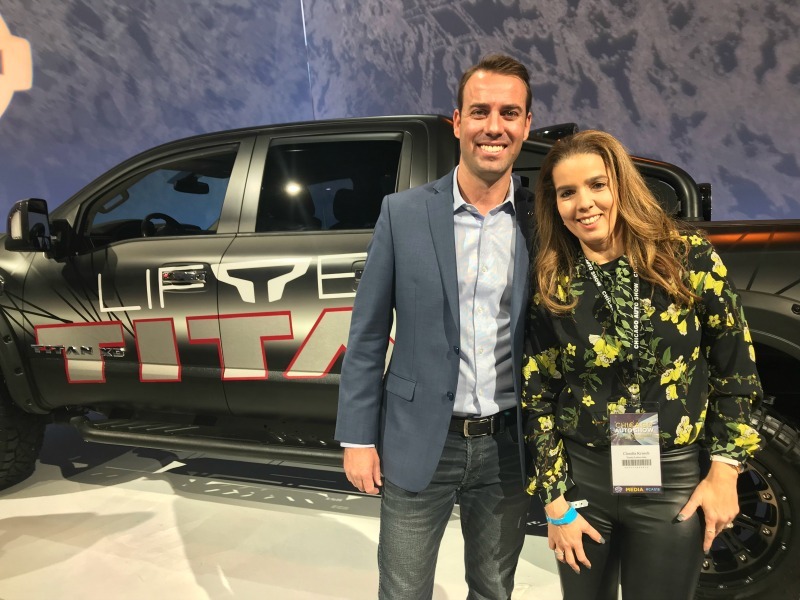 The Titan is offered with rear-wheel or four-wheel drive. EPA-estimated fuel economy is listed at 15 mpg city and 21 mpg highway with both drivetrain layouts. Available maximum towing capacity is 9,740 pounds and maximum payload capacity is 1,950 pounds when properly equipped. The Titan is offered in Single Cab, King Cab, and Crew Cab. Five trim levels are offered: S, SV, PRO-4X, SL, and Platinum Reserve. Available features include trailer sway control, leather seats, heated and cooled front seats, heated rear seats, premium audio, USB, satellite radio, Bluetooth, navigation, and remote start. Also checking out other vehicles on display! Yes….they made it snow after their presentation! 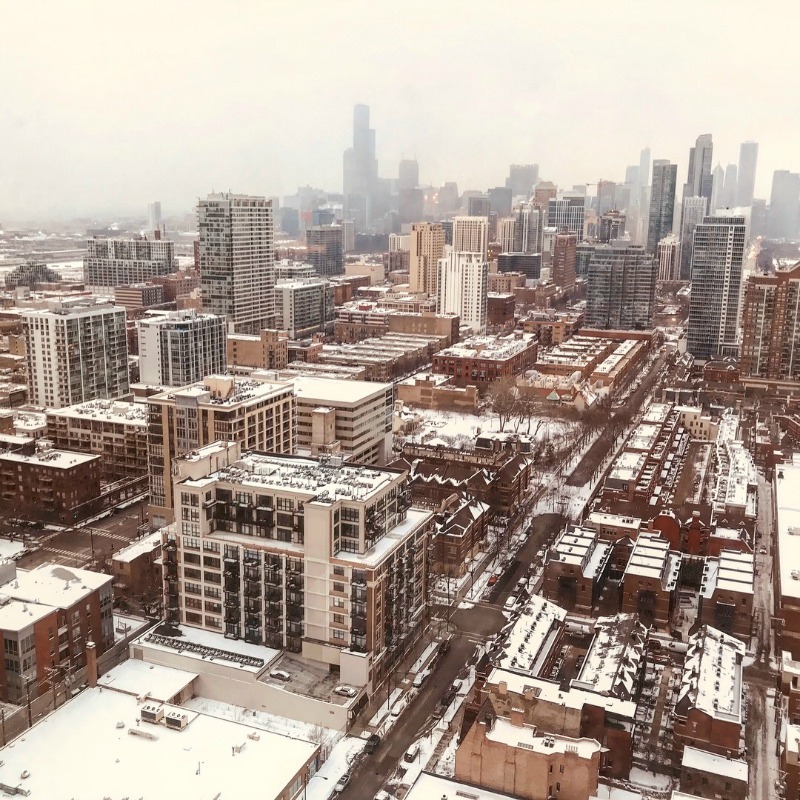 After the “snow”, we had awesome treats and a special bonus to have time to chat with Wendy Orthman, finding out more amazing news from what the brand has in store in 2018! 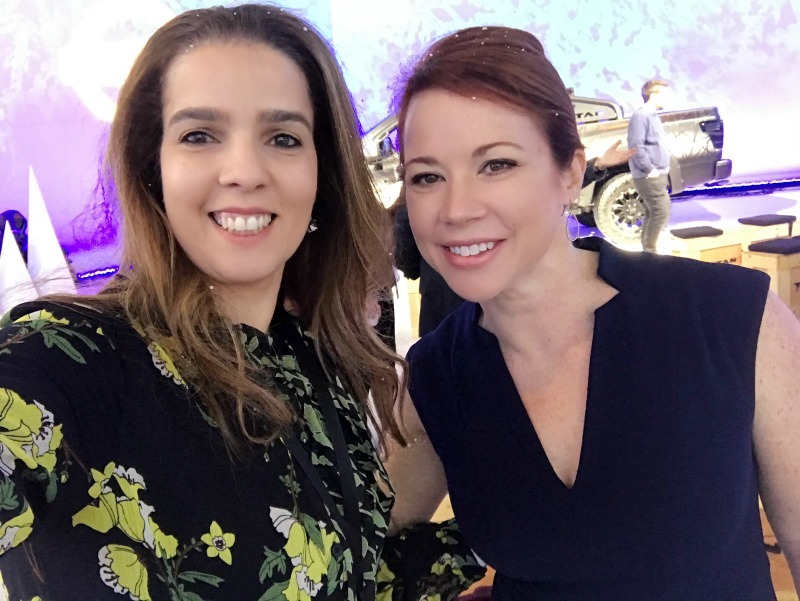 Nissan is really ahead of the game as far as using social media and amazing activations to amplify the brand’s message, so I truly felt honored to have been invited and partnered once more with them to elevate their efforts to offer innovation, performance and style in their vehicles and even more amazing experiences to showcase those vehicles to us! Looking forward to sharing more Nissan events with you in 2018! I can’t wait to see what the brand has in store! Will be sharing it all with you soon! 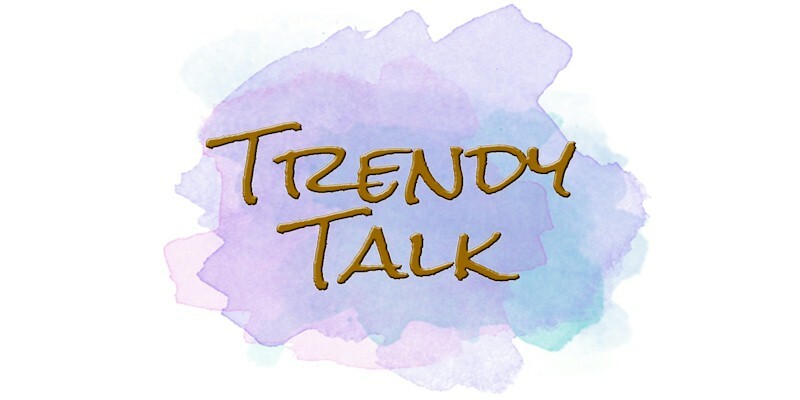 As usual, can’t wait to hear what you think, give us a Trendy Shout! I want one… anyone lol! Seriously though, those are some beautiful cars. My husband is in the market for a new ride and Nissan is looking like a great contender. 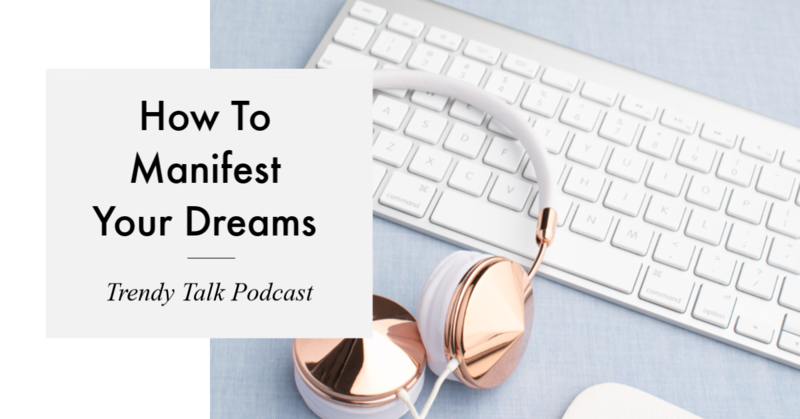 I can’t wait to share this post with him. Thanks, Claudia for the content. Nissan appears to have done well with its latest round of vehicles. The company seems to maintain a solid reputation for quality. Thanks for this! These are some superb looking cars! Auto-shows seem super fun, I’d love to attend. 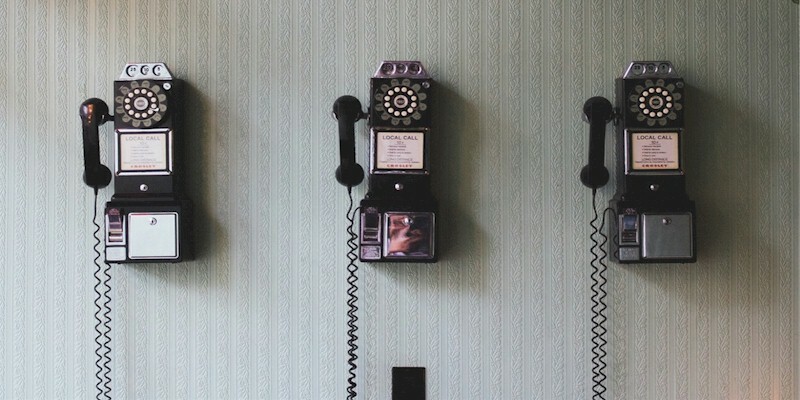 Thanks for this post, I loved your pictures. Oh this car nissan are so pretty amazing! I have never been in a car show. Hopefully this year i can watch one. Look at all those nice looking cars. Bet you had a blast in that auto show. My SIL drives a Nissan SUV and she loves it. My husband and I have always liked Nissan! They have awesome cars that has all the features that we need. It would have been nice to have attended this car show! What a lovely event, looks like it was fun. I lovely Nissan cars and these cars look amazing. What a great press event. You know I never drove a Nissan in my life but I always wanted to own one. One day! What a cool event! I love seeing all the new features on different vehicles. My husband and I both own Nissan vehicles and love them! My daughter will be getting her license this summer so we’ll be passing my hubby’s Altima down to her and we may just get him one of those stylish looking Kicks. I’ve only been to an auto show once, but this one looks awesome! I really like how the Leaf looks! That Kicks car looks really nice! I wish I had something more like that… My 5-seat sedan is okay, but something a little bigger would have been good. Wow! That Kicks looks like a nice car! I love the design and features! That Titan is one heck of a car! I love Nissan for their style and reliability. Those are some really nice cars! They seem to have some really cool features, too. The Kicks model has to be my favourite of the bunch. Oh my! 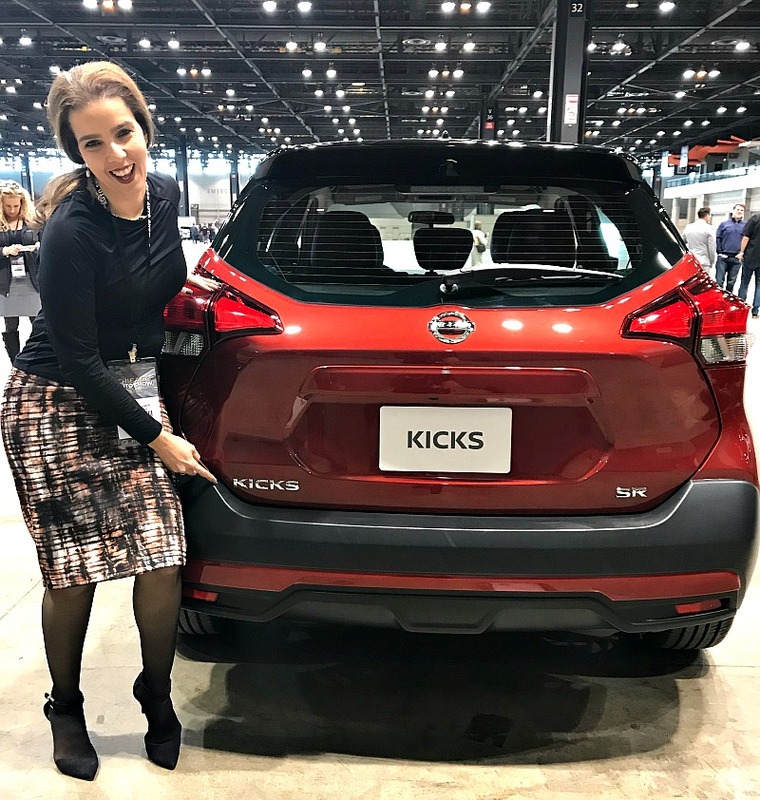 That Nissan Kicks is super cute!! I had a Nissan Rogue a few years ago and I loved it!!! Those Nissan vehicles all look awesome but I am more drawn to SUVs and large trucks. The Titan appealed to me. I want to take a look at it up close. Thanks for sharing your photos. The show seems great and looks like you had fun. I loved reading your post but I am sue my husband would be more interested in this. I will have him read this. Now those are some good looking cars that Nissan have! It can be quite amazing going to a motor show and seeing what is around and too come. The show seems like a great way to see the cars up close so you could make a choice. I have a Nissan and am very happy so far. I love the look of the Kicks but my next car has to be electric or hybrid so I will look into the Leaf. I am on the market for a new car and I am actually eyeing the Nissan Leaf. I find it perfect as a town car and its specs are quite impressive, especially the self parking. The Nissan Titan looks really nice. We love Honda but Nissan vehicles are great too. I always like going to auto shows to learn more about cars and the new features. This is an awesome event, I wish I was able to attend! Looks like a lot of fun! It’s been a long time since I went to an auto show and I’d love to experience the excitement again! What sharp looking cars. I love Nissan products. You look like you had a spectacular time. That’s always what is the most fun, seeing others having a blast! It’s bee years since I went to an auto show! We used to have so much fun when we were kids getting to see all the cars. Brings back great memories. I am loving both the Kicks and the Leaf! It would be hard for me to choose between the two! Nissan does make great autos for sure! What a fun event! I love going to car shows and seeing all the new technology. 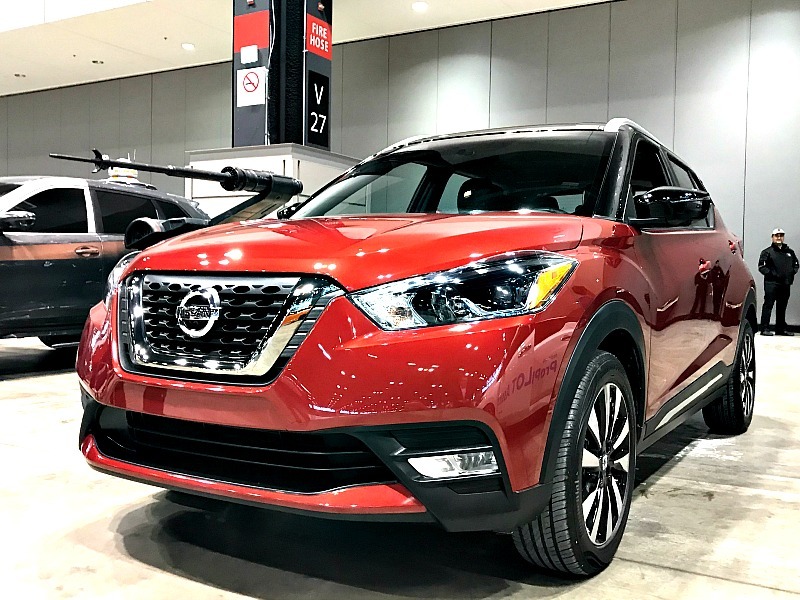 The 2019 Nissan Kicks it’s definitely my favorite. I would love to take one for a test drive. I like the looks of the Kicks also! Hopefully they bring them into production – it is my understanding it wasn’t 100% yet. I’m loving the awesome Kicks! It looks to be the perfect size. Not too big and not too small. And the color! Yes please to the red!! Nissan has quite a nice lineup of vehicles. I do like the looks of the Kicks. I would love to go to an auto show. In a few years I’ll need a new vehicle, so I want to see what all is out there. Nissans sound great! Those look like some really nice vehicles. I have never driven a Nissan before. I sure would love to though. I love how beautiful all of these look. Nissan makes such great cars. A lot of my friends drive the Rogue and they love it. Kicks looks really nice – love how compact it is. Congratulations are going to such a pristine event! That Kicks looks like an awesome car! I love how compact it is!! I have never driven a Nissan but they sound like great vehicles. I really like that matte black look on the Leaf. I currently have a Nissan and would never go back to something else! I absolutely love my car. One of these times my husband is going to pack and self in your bag when you go to one of these car shows. My husband is a car freak he would have loved this. 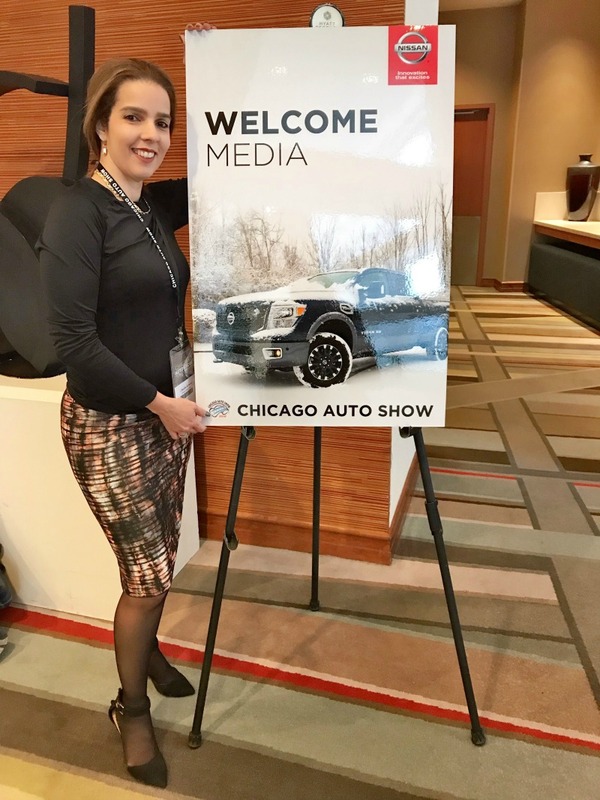 I’m a gear head, so I love hitting the auto shows whenever I can tell you one thing, I’d love to see that truck in my driveway. It looks like you had a great time. I love going to auto shows. The car companies always do some crazy cool stuff. I love that truck! Oh wow, I need to start driving asap I know nothing about cars but I love how these do look. Auto shows are always fun. Always! It’s so exciting to see the new models and the concept vehicles. They do crazy awesome things with their concepts.